Free! As an open source software platform, WordPress is free because it’s been developed by a worldwide community of developers, who do it as a hobby and because they love the open source spirit. Yes coders can be a little crazy but just as lovable! Not only WordPress itself is free but also most of its themes and plugins are free, which means that you can build and scale your WordPress website easily and inexpensively as your needs expand. Easy. Someone with little experience will be able to deal with WordPress with little or even no help from the pros. It’s just that easy. Secure. As far as online business is concerned, security is often top priority. If your platform is insecure, so is your business and all your customer’s data. 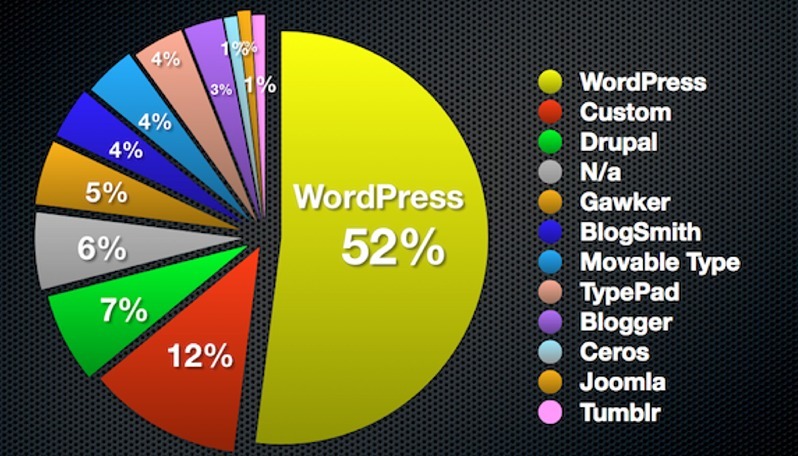 Fortunately, WordPress tops the list in security. Although there’s no software that can’t be hacked – and no one can guarantee you that your WordPress site will never be hacked but WordPress does make it much more difficult, so it reduces that chance of that ever happening. Customizable. Most people want their interactive presence to reflect their brand or their personal taste – a unique look identifies us in an ever-increasingly, cluttered digital world. With WordPress customization is simplified. There are thousands of themes, thousands of plugins and combinations of both provide almost infinite possibilities. Web designers and developers can also use existing themes and plugins and modify or customize them at will. Not many other CMS solutions offer such a range of options. Community. 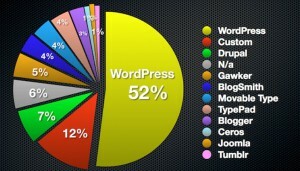 Finally, another reason why WordPress is such a great online platform is its community. The forums at WordPress.org and the other WordPress-related sites contain tons of threads about everything you could ever need to know about WordPress and there are updates being added all the time as the platform’s capabilities grow. And whenever you’re stuck with a problem and need help, knowledgeable and skillful WordPress gurus are there to help. The WordPress community is an articulation of the lovable and altruistic nature of our beloved developer community – go experience it for yourself!